Jeff and I volunteered to work at the Multnomah County Master Gardeners' Incredible Edibles Sale last Saturday, so we naturally came home with a whole bunch of plants. Jeff has been working hard since Saturday to get the plants in the ground. So far, most of the plants have gone into the garden in the front yard. The temperature has been in the mid to high 80's the past several days, so this was actually not a fun project. 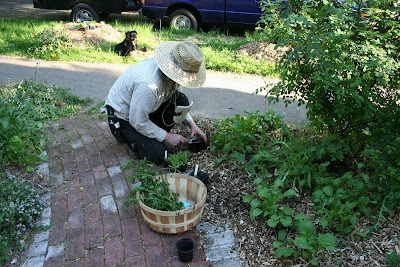 But Jeff is a good sport and got the plants in the ground before they died in their tiny pots. 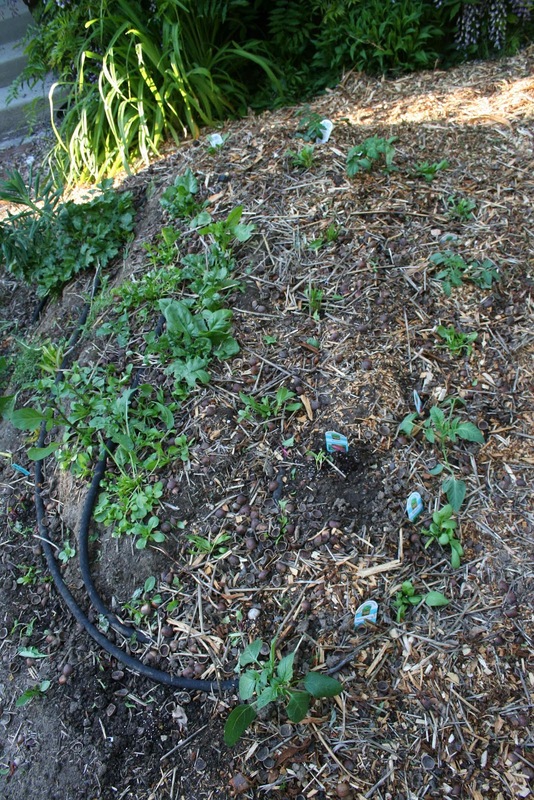 The planted mound in the front yard. 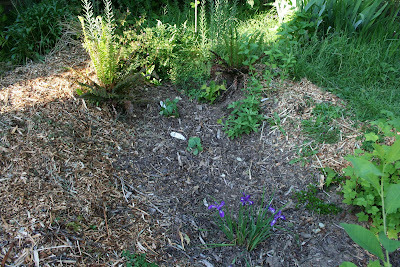 It doesn't look like much now, but this space actually produced quite a lot of food last year. This year, Jeff remembered to put down a soaker hose before he put the plants in, so that should help with watering. 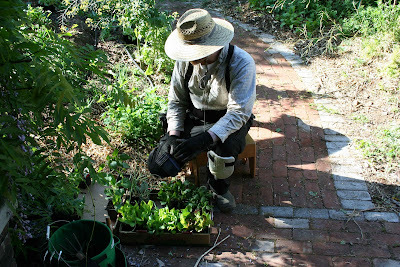 Since the rain garden is out of business during the summer, Jeff also popped in a couple of vege plants into its basin. The squash plant should have plenty of space to spread out. 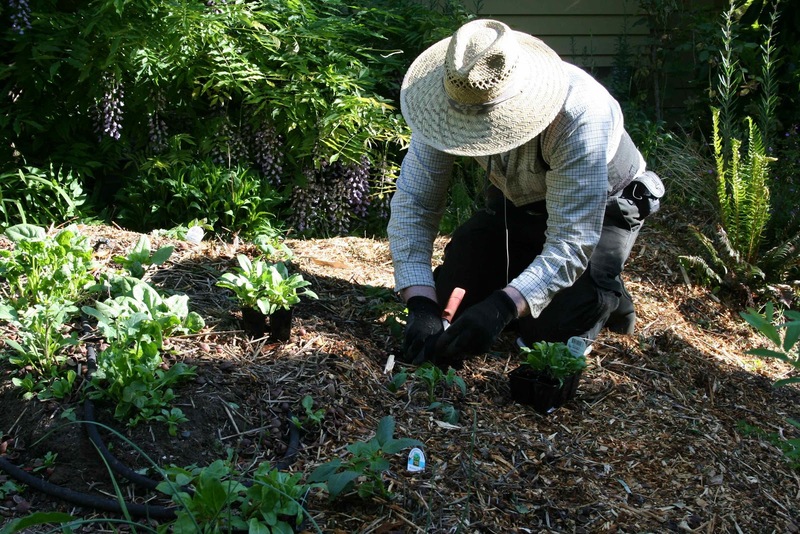 Did you do much to amend your soil before you first started planting in the front yard? Not this year. Last year, Jeff double dug the mound and added soil amendments to improve the soil. He added steer manure, worm compost and mulched it.